How many people in the world believe that a locksmith’s only talent is to open locked doors? I would imagine that the majority of folks out there believe that a locksmith is limited only to providing that particular service. Well, it is simply not true. 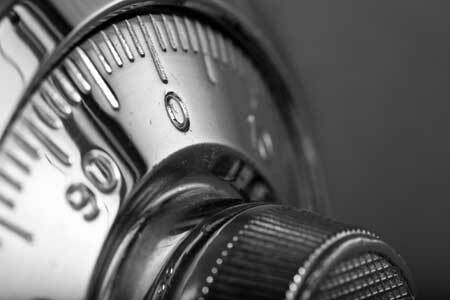 A professional locksmith can provide security for your home, vehicle and valuables. It is amazing how many things a locksmith can do. For example, he can install a wall safe in your home or office in a location that no thief would ever be able to find. We all know that the world’s economy is spiralling downward. The result of this poor economic situation means that there are more home invasions and break-ins. They are increasing as never before. How will you keep your money and valuables in a safe and secure location in such an atmosphere? That is a good question that we all need to ask ourselves. There are many solutions for securing your money and valuables. The key is to not put all of your eggs into one basket. Do not keep all of your money and valuables in your local bank. Safety deposit boxes are not as safe as one may think. Also banks have a way of closing down unexpectedly leaving their customers with no way to obtain their savings. While you still can use the bank for some of your valuables and savings, it would also be prudent to keep some of your money at home in a personal wall safe. This way you would have easy access to your money when required. Have you ever thought about installing a wall safe in your home or office? A locksmith is trained to not only install a wall safe but he also knows the best place to keep it hidden from unscrupulous burglars. They will install the wall safe in a secure place somewhere in your home. As previously mentioned, thieves can break into your house and take everything that is valuable and precious to you. The only true solution is to store your valuables in a hidden wall safe. If you and your family decide to take a vacation, you can rest assured knowing that your valuables are safely and securely hidden behind the protected doors of a wall safe. What better choice is there for your valuables and that? Therefore if you are considering installing a wall safe in your home do it soon because the current economic situation is getting worse. You may not realize it but the price of a wall safe and its installation is not as expensive as you might expect. Call your local locksmith and he will come to your home and provide you with all the information that you require. Locksmiths also offer a total mobile service where they will come to you. Have you ever left your office only to discover that your car keys are missing? After a few minutes searching you realize that you left them in your car when you parked it this morning. How thankful you are that you can call your local mobile locksmith service. They can come to your car and in the matter of minutes you will be back on the road. Mobile service units also have complete key cutting abilities which will allow the locksmith to make acetic keys if yours have been completely lost. This type of service will save you time and money. Another advantage to this service is that you can get into your car quickly which is beneficial if your car is in an area that may be dangerous. There definitely are locations that you do not want to be in for long periods of time. One of the main things that locksmiths are noted for is cutting keys. There are many retail locations that also cut keys but they do not do as good of a job as a locksmith. The problem is that they usually do not have the best equipment and the person cutting the key may not be experienced. A locksmith uses only top quality key cutting equipment and he has been trained to cut keys properly so that they work the first time. There is nothing more frustrating than going home only to discover that the new key does not work. Locksmiths also carry transponder keys. Transponder keys are often used to unlock the gates or key-less entry systems. They also are used to start many vehicles. These are specialty type keys and not every retail key cutting store carries these type of keys. Therefore, if you need a transponder key you should call your local locksmith. All professionally trained locksmiths can work on commercial type jobs. Locksmiths are trained in all aspects of locks and saves, both commercial and retail. They use superior quality products and are experienced and well qualified to do whatever job you require. Most locksmith companies understand that customer service is a priority for repeat business. Always carry the contact numbers of a professional locksmith so that you can call them whenever you have an emergency. The bottom line is that you can get a cheaper price when installing locks on your windows and doors, installing wall safes, using key cutting services but you will get what you pay for. Only use a professional locksmith for all of these types of services.